Russian court dismisses KRKA’s appeal in Pfizer patent dispute | Russian Legal Information Agency (RAPSI). MOSCOW, May 12 - RAPSI, Dmitry Shchitov. The Court of Appeals has dismissed Slovenian pharmaceutical company KRKA’s appeal of a lower court decision concerning its Pyrazolopyrimidines patent dispute, the court told the Russian Legal Information Agency (RAPSI). 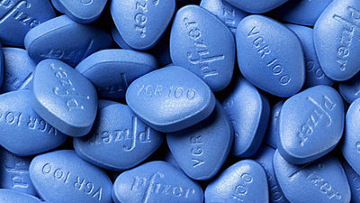 KRKA’s appeal was against the lower court‘s holding that Russian patent agency (Rospatent) had validly denied KRKA’s November 2010 application to revoke the patent for Pyrazolopyrimidines, a treatment drug for impotence, from Viagra producer Pfizer Ireland Pharmaceuticals. Earlier, the Slovenian drug producer attempted to appeal the court’s decision in the Court of Cassation. Pfizer was granted a patent based on an application filed in 1994. KRKA protested against the patent in 2009, arguing that the drug did not satisfy the “inventive step” requirement for patentability. In order to prove this point, KRKA submitted several publications describing medical drugs with similar features as Pyrazolopyrimidines. Nonetheless, Rospatent dismissed the protest on April 27, 2010. Slovenian pharmaceutical company КRКА is a leading producer of generic pharmaceuticals in Central and Eastern Europe. Pfizer Ireland Pharmaceuticals is the world leader in the pharmaceutical industry, operating in 150 countries including Russia. 14:32 12/05/2011 The Court of Appeals has dismissed Slovenian pharmaceutical company KRKA’s appeal of a lower court decision concerning its Pyrazolopyrimidines patent dispute.